NATIONAL team members Nikko Huelgas and Ma. Claire Adorna lived up to their lofty billing as the country’s top triathletes when it comes to a standard distance race as they upended local bets in the 2nd leg of the 2018 National Age Group Triathlon (NAGT) in the City of Naga Boardwalk on Sunday, Dec. 2. The back-to-back Southeast Asian (SEA) Games gold medalist Nikko Huelgas finished the 1.5-kilometer swim, 40K bike and 10K run course in 2 hours, 2 minutes and 4 seconds en route to winning the men’s elite title. Cebuano triathletes Andrew Kim Remolino of Talisay Luigi Triathlon Group (TLTG)/Go For Gold and Jorry Ycong of Rider Omega Tri Team were about three minutes behind Huelgas and ended up at second and third place, respectively. 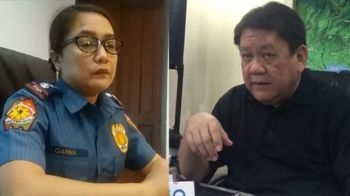 With the 2019 SEA Games on the horizon, Huelgas said this race is part of the long-term preparation for the biennial meet, which will be hosted by the Philippines next year. “It’s a long-term program and we’ve been preparing for the past years. Whatever races comes during the span is part of our preparation. The NAGT is a good annual race and I would definitely recommend this to my teammates in the national team,” said Huelgas. Despite the triathlon national team’s dominant showing in the past two SEA Games, Huelgas believes that there should be no room for complacency. “Let’s just hope to be injury-free in SEA Games. All countries are improving. I’m not saying that it’s a bad thing, it’s a good thing. At least, the level of competition in the SEA region is now high and we can compete all over the world,” he said. The 2015 SEA Games gold medalist and 2017 silver medalist Ma. Claire Adorna stamped her class in the women’s field, finishing the course with a total time of 2:29:31. Cebu’s Rue Reinhardt Panibon of Organique Triathlon Team and Cianyl Jamae Gonzalez of Rider Omega Tri Team settled as runners-up to Adorna with times of 2:35:38 and 2:40:09. “It was great experience. The race was really organized. It had a nice course, mostly flat, and there was a road closure so it was safe. There was a lot of aid stations in the run also so you wouldn’t get tired,” said Adorna. 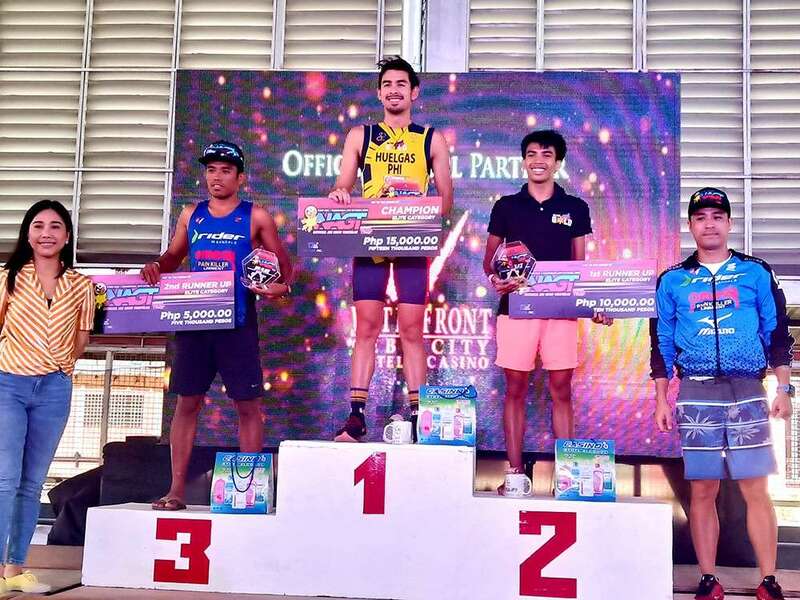 The race organized by TSE Live Inc. and sanctioned by Triathlon Association of the Philippines (Trap) shelled out P15,000, P10,000 and P5,000 cash prizes to the men’s and women’s elite Top 3. On the other hand, fast-rising Cebuano triathlete Renz Wynn Corbin of TLTG conquered the men’s junior sprint race. He finished the 750-meter swim, 20K bike and 5K run course in 1:02:38, beating Godwin Jacob of Caltex-Delo by 37 seconds. Charles Jeremiah, also from TLTG, finished third in 1:04:00. Karen Manayon of Rider Omega went uncontested in the women’s side with a time of 1:09:24. Cebuana junior tri Moira Frances Erediano got a share of the spotlight with a triumph in the women’s super sprint race that covered 400m swim, 10K bike and 2.5K run. Erediano also won the first leg in Subic last January. Tonsyon Luther Lee of TSE Live Inc. said that they’re planning to hold more races in Cebu after the successful debut in City of Naga.